I'm really looking forward to Christmas this year as it's the first year that our new house has been totally renovated. We have carpet in, the front room will be finished in time for Christmas which means we can have a Christmas tree for the first time in a couple of years and it really feels like home now.Woooo! Christmas dinner the previous two years has been pretty basic because my kitchen lacked any kind of mod cons. We didn't even have a fridge freezer for the first few weeks in the new house until the new one was delivered and had our washer dryer in the garage running from an extension cable. We rushed to install the cooker and cooker hood and base units in the kitchen last year so we could make a traditional roast. You can see some snaps of what my house used to look like in this old post. As you can imagine I'm happy to have a normal home again and hope my family don't decide it would be a good idea to totally gut a house ever again! Now that I've got a lovely kitchen and nice clean work surfaces I'm going to try and give everyone a handmade gift along with their main present this year. 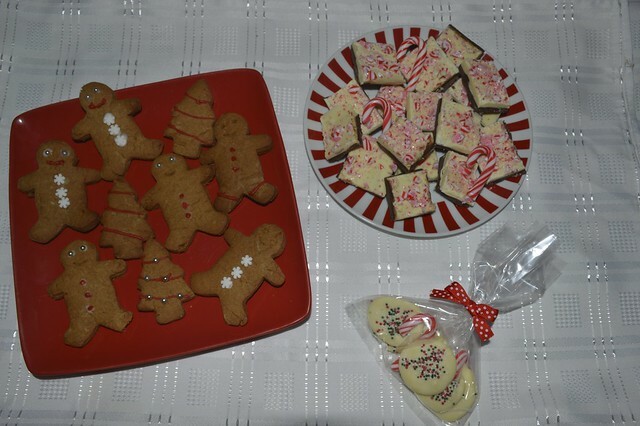 I did a trial run of the edible gifts last night and have shared the results. Melt milk chocolate/dark chocolate and white chocolate in separate bowls in the microwave for a couple of minutes. Pour the melted brown chocolate on a tray covered in non stick baking paper. Let it cool for an hour and then pour the white chocolate on top. 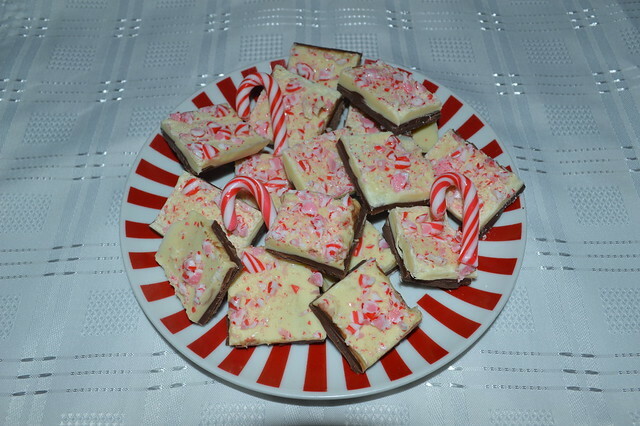 When the white chocolate becomes tacky, sprinkle pieces of crushed candy canes on top. Cool in the fridge over night and break into pieces the next day. I bought my candy canes from Poundland and they came individually wrapped which made them easy to break in the bag with the back of a spoon without candy cane flying everywhere. You could marble the chocolate or add a different toppings. Preheat the oven to 180C Line two baking trays with greaseproof paper. I also made my own festive 'jazzies' by melting chocolate, spooning circles of it onto greaseproof paper and then topping with sprinkles, simple! 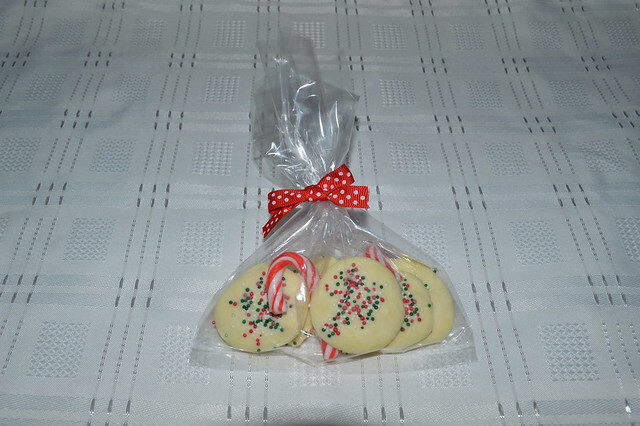 I plan to bag up my edible gifts in celephane bags and tie with ribbon, both of which I buy on eBay. Let me know if you try making any of these yourself. I'd quiite happily accept any edible gifts of you Gem! Oh my, how many childhood memories from the gingerbread men?! Those look awesome, it's a shame all my family (inlaws included) live so far away, I don't think any baked goods would survive a journey across the US! Try my Florentines recipe! http://oddsocksandprettyfrocks.blogspot.co.uk/2010/12/few-recipes.html Honestly, they are really simple to make and everyone loves them. I'd never heard of chocolate bark before Halloween where I saw it on a few blogs. It looks rather good, though. 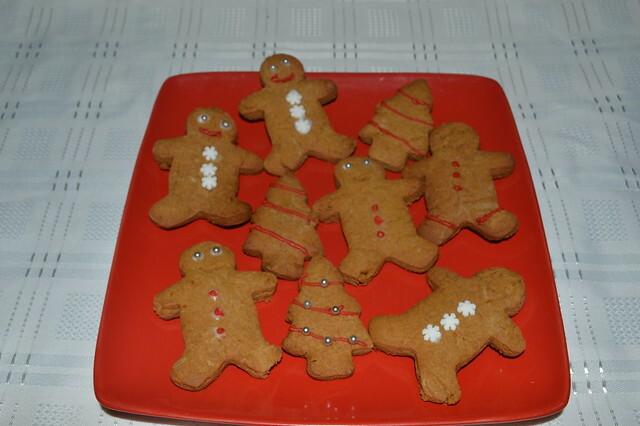 And gingerbread men, yay! The bark would be great for Easter too, you could put mini eggs on top or something. So easy to make.